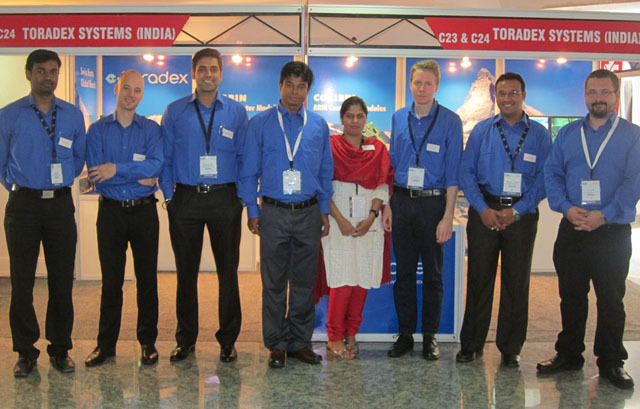 The Toradex team have been at ESC Bengaluru, India this week (18-20 July 2012). We have been showing our Colibri T30, our Colibri T20 dual display with Linux and Windows EC7 along with our new evaluation board and Instant Boot Demo. We have also been showing a preview of our Colibri Cloud Library which provides cloud services such as data storage, messaging, alerts and notifications.